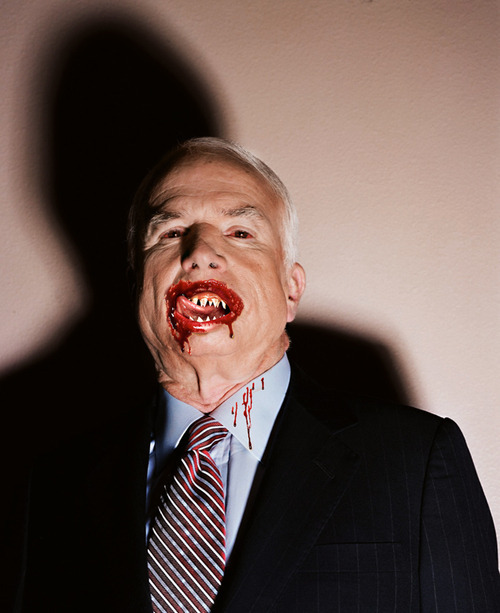 Jill Greenberg was hired to photograph Sen. McCain for The Atlantic Monthly. She also took a few shots for herself and, er, embellished 'em. Wonder if she'll get hired for another job like this any time soon. Or maybe she's get other kinds of gigs.